Hexahexaflexagons are strange folded objects that have hidden sides. At any time only 2 sides are visible, but a hexahexaflexagon actually has six sides. Some sides can appear in more than one state with a different centre. 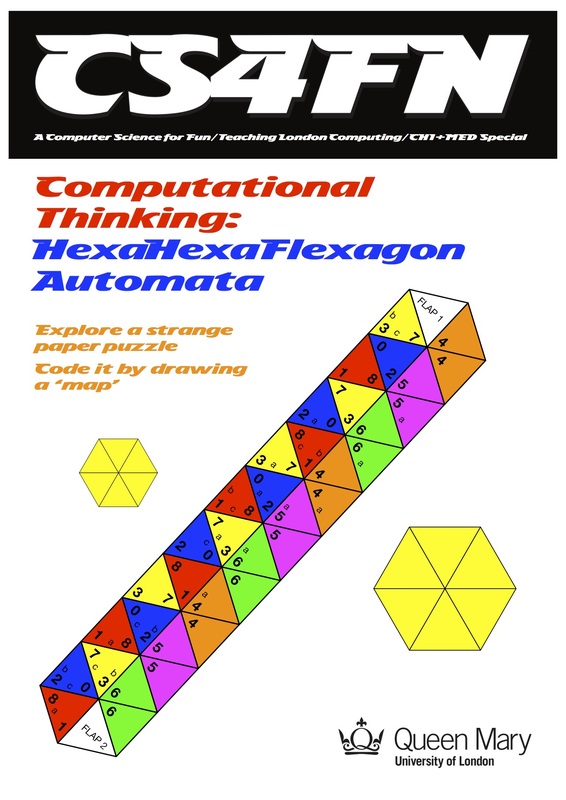 Find out what they have to do with computational thinking by downloading the cs4fn booklet. There are various templates for making hexahexaflexagons below.